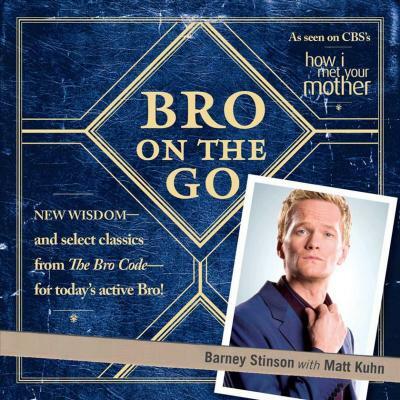 From the hit TV show How I Met Your Mother, an abbreviated, "on-the-Bro" version of the classic New York Times bestseller The Bro Code, featuring a new introduction by author Barney Stinson. When The Bro Code was first published in 2008, it took the world by storm--becoming an instant New York Times bestseller and shaping the behavior and attitudes of Bros the world over. Author Barney Stinson expected nothing less. But for some busy Bros, the standard trade paperback format was just too big and chunky to fit into their perfectly tailored suit. With this audience in mind, Stinson now presents Bro on the Go, the same classic traditions and guidelines for Bro behavior, now packaged in a more compact and awesome format. Featuring a new Introduction by the author and the same classic Bro Code articles, amendments, and Brocabulary that made the original such a hit, this book is essential reading for anyone who wants to be legen--wait for it--dary.